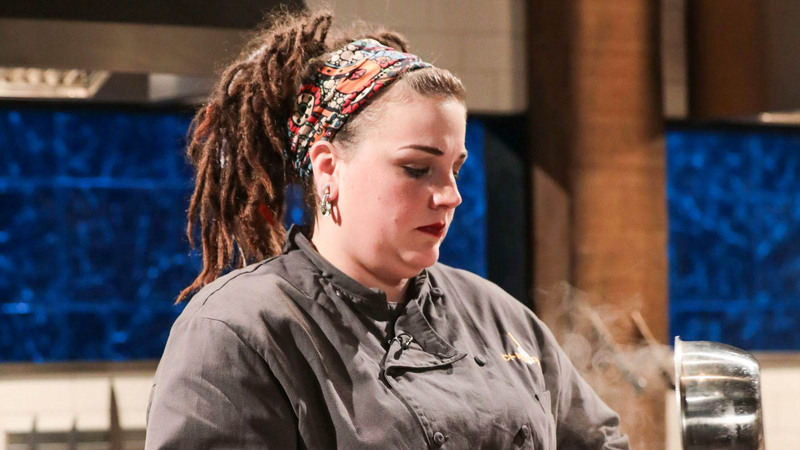 On Tuesday, Feb. 27, The Whey Station partnered with NoRA Cupcake Company in Middletown to air a new episode of “Chopped,” in which the food truck’s co-owner Jillian Moskites competed. During the screening, Whey Station served a unique array of gourmet grilled cheese sandwiches as Middletown locals and Wesleyan students ate, watched old “Chopped” reruns, and talked with Moskites. Viewers sat in NoRA’s, surrounded by projectors and quirky artwork, as Whey Station staff served food. At the event, attendees feasted on Whey Station classics like the AvoMelt, Big Sal, and Ella grilled cheeses. The meal was accompanied by Whey’s famous Cheesy Bacon Tots, of course, and a selection of NoRA’s cupcakes. The night ended with an hour-long premiere screening of Moskites’ episode (which ended in victory!). A portion of the proceeds was donated to the victims of a recent fire in Middletown, illuminating Whey Station’s ties not only to Wesleyan but to the broader Middletown community. The Argus spoke with Moskites before the episode aired about her appearance on“Chopped,” the viewing party, and Whey Station’s history with the Wesleyan community. The Argus: Can you tell me a little about your episode? Jillian Moskites: Sure. It’s called “Epic Eats,” and it was basically just about over-the-top food items, so all of our baskets had challenging ingredients. There was just some crazy stuff in there…. It was challenging, it was as hard as it looks. It was definitely exactly as it seems. A: When did you start Whey Station? JM: It’ll be seven years this March or April. A: And how long has Whey been involved in the Wesleyan community? JM: We actually started initially just doing Wesleyan, so the first couple years we were just doing late nights at Wesleyan. [We] kind of expanded from there. But it’s definitely been a focus for us and always something we’ve really loved doing. A: How long have you been involved in food in general? JM: In food? Pretty much my whole life, to be honest. I went to culinary school right out of high school, worked for a couple of restaurants for a long time. [It] kind of just evolved into what we’re doing now. A: How long did it take to plan this event? JM: I was only notified probably about three weeks ago of the air date, so we had to start planning right away. We put the word out as soon as we could. A: Anything else you’d like to tell Wesleyan? JM: We love Wesleyan. It was food-prep boot camp, and we love being there. So we love the support. 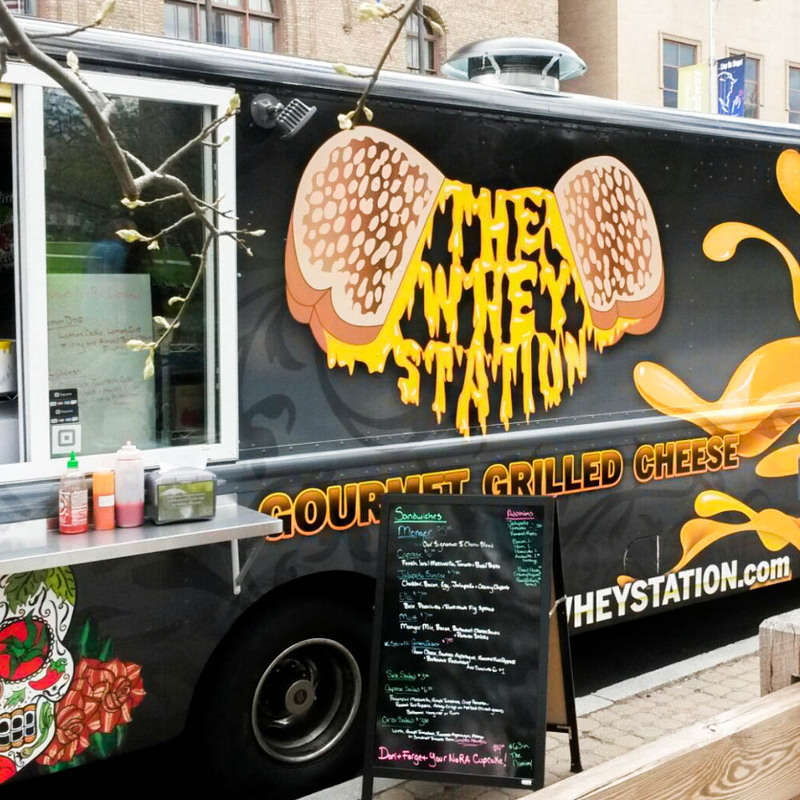 You can catch Whey Station cruising around campus serving their late night-classics on Thursdays through Sundays from 11 p.m. to around 2 a.m. Stop by on your way home and support “Chopped” winner Jillian Moskites and the rest of the Whey staff.